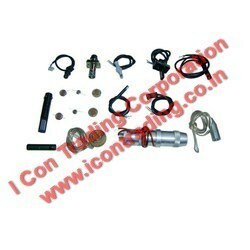 weishaupt male female ignition plug etc..
"We are leading Manufacturer,Supplier and Exporter of Industrial Equipments & Furnaces like For Steam/Thermopack Boiler, Solid fire/Oil Fire/Gas Fire. Oil Pump, Boiler Spare & Parts, Industrial Laundry Equipment, Chimney,Tumbler, Flatwork Ironer, oil Burner,Suntec Oil Burner Pump, Water Softener, Ion exchange Resin,Pipe Line Fabrication & Erection. across the Eastern India mainly Kolkata,West Bengal,Nepal, Bihar, Jharkhand, Orissa, Assam, Siliguri, Durgapur, Asansol, Ranchi, Dhanbad & Bhutan region." 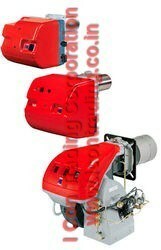 We are counted as major exporter and supplier of wide gamut of best quality Burner Sequence Controllers. Our offered controllers are widely used in effective management of burner start-up and regulating the flame for prolong period. With their procurement being done from highly reliable vendors, these controllers are equipped with precise control system and possess sturdiness with user friendly attributes. 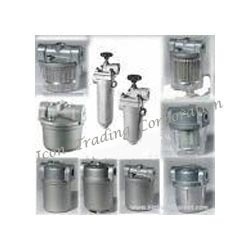 We supply our offered product in tamper proof packaging at nominal price tags. We hold immense expertise in catering to the diversified demands of the customers by bringing forth an array of Flame Sensor/ Photocell/UV cell. The offered range is prepared in strict accordance with the global quality standards using superior grade raw material, which is sourced from the coherent vendors of the industry. India is a relible source for Oil & Gas Burner Photocells & U. V. Cells. Siemens oil burner photocells, Siemens Flame sensor, Siemens flame detector, Siemens gas burner u v cells, Siemens gas burner flame detector, Brahma oil and gas burner photocells and u. v. cells, Brahma burner flame sensor, Satronic photocells for oil burners for gas burners, Ecoflam oil burner photoresistor, Bentone burner photocell, Weishaupt burner photocell, Weishaupt burner flame detector, Fbr burner photocell, Sookook burner photocell, Baltur burner photocell, De unigas burner photocell, Narayan burner photocell, Elco burner photocell, Cuenood burner photocell, Lamborghini burner photocell, Dunphy burner photocell, Oilon burner photocell, Arco burner photocell, Nu way burner photocell, photocells and u. v flame detectors, Honeywell flame detector, Riello burner photocell, Oxilon burner photocell, Brahma flame detector, Flame control burner photocellfor Oil and gas fired boilers, we keep ready stock for, We provide all kinds of Oil & Gas fired Boilers photocell & U. V. Iaec boiler photocell, Westorwork boiler photocell, Kessel burner photocell, Heat pack boiler photocell, Nestler boiler photocell, Laxmi boiler photocell, Sai tech boiler photocell, Thermax boiler burner photocell, Ima boiler photocell, Maxima boiler photocell, Neotech boiler photocell, Forbes marshall boiler photocell, Elite thermal boiler photocell, 3 M boiler photocell, Saz boiler photocell, Industrial boiler photocell, Cheema boiler photocell, Synergy boiler photocell, Energypack boiler photocell, Double ace boiler photocell, Fuelpac boiler photocell, Patel boiler photocell, Hot air generator photocell, Unitherm boiler photocell, Shivam boiler photocell, J. n marshall boiler photocell, Cethar vessel boiler photocell, Tauras boiler photocell, Hi therm boiler photocell, photocell FZ711S photo-resistor/ flame detector etc. with different range of satronic, We keep the following spare parts for burners in Minipeeper UV detectors, Compact UV Burner Flame Detector for use with Honeywell Flame Safeguard Controls with ultraviolet amplifiers, C7035 Minipeeper UV . 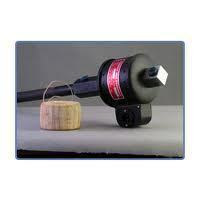 Honeywell UV detector c7035a. 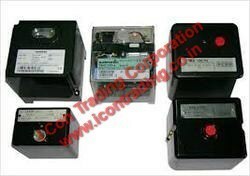 1064, (Honeywell) photocells, flame sensors & UV detectors for oil and gas burners/boilers, Photocells and U. V Cells. Used in an assortment of aluminum housing and fiber housing, these products are run by the charges of UV lights and photo electricity. Fabricated from supreme quality materials, these products are available in different varieties such as Qrb-3, Rar-7, Rar-8, U. v Cell: Qra-2, Landis & Gyr: Qrb-1a/b, Qra-10c, Qra-53, Qra-55, Satronic: Fz/711s, Fz/770, Petercem: 8205, 8209 and complete range of Riello Photoc, Siemens (landis & gyr) photocells, flame sensors & uv detectors for oil and gas burners/boilers, Siemens (landis & gyr) photocell, flame sensor qrb-1a/ qrb-1b. Siemens (landis & gyr) photocell, flame sensor qrb-3, Siemens (landis & gyr) photocell, flame sensor rar-7, Siemens (landis & gyr) photocell, flame sensor rar-85. 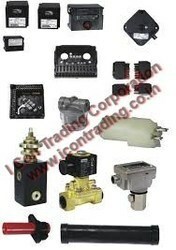 siemens (landis & gyr) photocell, flame sensor rar-96, Siemens (landis & gyr) photocell, uv flame detector qra-2, Siemens (landis & gyr) photocell, uv flame detector qra-2 m, siemens (landis & gyr) photocell, uv flame detector qra-10c, Siemens (landis & gyr) photocell, uv flame detector qra-10mc, Siemens (landis & gyr) photocell, uv flame detector qra-50m, Siemens (landis & gyr) photocell, uv flame detector qra-53 c17, Siemens (landis & gyr) photocell, uv flame detector qra-51m, Siemens (landis & yr) photocell, uv flame detector qra-55c27 etc. We are a reputed firm engaged in catering to the variegated demands of the customers by putting forth highly durable range of Oil & Gas Burner Controls. These are fabricated using high grade raw material and sophisticated technologies at the vendor's end. Owing to this, our range is capable of rendering effective services during extreme climatic & working circumstances. 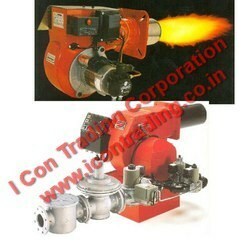 Ecoflam burners controllers, Bentone burners controllers, Oilon burners controllers, Weishaupt burners controllers, Riello burners controllers, FBR burners controllers, Sookook burners controllers, De unigas burners controllers, Baltur burners controllers, Lamborgini burners controllers, and other indian burners. IAEC boiler controllers, Westerwork boiler controllers, Double ace boiler controllers, Fuelpac boiler controllers, Elite thermal boiler controllers, Thermax boiler controllers, Neotech boiler controllers, Tauras boiler controllers, Laxmi boiler controllers, Maxima boiler controllers, Elite boiler controllers, Energypack boiler controllers, IMA boiler controllers, 3 M boiler Hi term boiler controllers, Forbes marshall boiler controllers, J. N. Marshall boiler controllers, Heat pack burner controllers, Ross boiler controllers, Saz boilercontrollers, Shivam boiler controllers, Unitherm boiler controllers, Vijay jyot boiler controllers etc. .
Icon trading corporation, Kolkata offer Siemens UV flame detector for use with burner controls from Siemens for the supervision of gas or oil flames. We are a reputed firm engaged in catering to the variegated demands of the customers by putting forth highly durable range of oil Burner Controls. 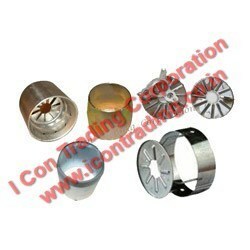 These are fabricated using high grade raw material and sophisticated technologies at the vendor's end. Owing to this, our range is capable of rendering effective services during extreme climatic & working circumstances. Ecoflam burners controllers, Bentone burners controllers, Oilon burners controllers, Weishaupt burners controllers, Riello burners controllers, FBR burners controllers, Sookook burners controllers, De unigas burners controllers, Baltur burners controllers, Lamborgini burners controllers, and other indian burners.IAEC boiler controllers, Wester work boiler controllers, Double ace boiler controllers, Fuelpac boiler controllers , Elite thermal boiler controllers , Thermax boiler controllers, Neotech boiler controllers, Tauras boiler controllers , Laxmi boiler controllers, Maxima boiler controllers , Elite boiler controllers, Energy pack boiler controllers,IMA boiler controllers , 3 M boiler Hi term boiler controllers, Forbes marshall boiler controllers , J.N. Marshall boiler controllers , Heat pack burner controllers, Ross boiler controllers, Saz boiler controllers, Shivam boiler controllers,Unitherm boiler controllers, Vijay jyot boiler controllers etc..
Icon trading corporation,Kolkata offer Siemens UV flame detector for use with burner controls from Siemens for the supervision of gas or oil flames. From the day of commencement, we are engaged in fulfilling the diversified demands of the customers by putting forth an array of Thermax Burner Rods. This is also known as Burner Rod Assembly. Offered array is manufactured under the able guidance of expert professionals to assure the delivery of a flawless range. Further, the entire range is sourced from selected vendors who are well-known in the market for the authenticity of their products. "We are leading Manufacturer,Supplier and Exporter of Industrial Equipments & Furnaces like For Steam/Thermopack Boiler, Solid fire / Oil Fire / Gas Fire. Oil Pump, Boiler Spare & Parts, Industrial Laundry Equipment, Chimney,Tumbler, Flatwork Ironer, oil Burner,Suntec Oil Burner Pump, Water Softener, Ion exchange Resin,Pipe Line Fabrication & Erection. across the Eastern India mainly Kolkata,West Bengal,Nepal, Bihar, Jharkhand, Orissa, Assam, Siliguri, Durgapur, Asansol, Ranchi, Dhanbad & Bhutan region." Backed by dexterous professionals, we have been able to put forth the clients a comprehensive assortment of Burner Nozzle. Extensively used in diverse industrial applications, the range is developed in strict accordance with global quality standards at the vendors well-equipped unit. Further, we thoroughly test the entire range on varied parameters to assure flawlessness and zero-defect. Leveraging on the rich industry experience, we have been able to provide the customers with a commendable Gas Burner Spares. The offered range is fabricated in line with the universally accepted norms & standards by employing genuine raw material and advanced machinery. Model: Oertli, Bentone, Baltur, Blow Therm, Cuenood, DE Unigas, Ecoflame, Elco Klockner, FBR, ILKA, Lamborgami, Nuway, Oilion, Riello, Weishaupt, etc. We are counted among the prominent business entities engaged in catering to the diversified demands of the customers by putting forth a highly efficient Oil Burner Parts. The offered range is fabricated in line with the universally accepted norms & standards by employing genuine raw material and advanced machinery. Models Available: Oertli, Bentone, Baltur, Blow Therm, Cuenood, DE Unigas, Ecoflame, Elco Klockner, FBR, ILKA, Lamborgami, Nuway, Oilion, Riello, Weishaupt, etc. 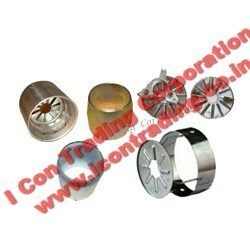 We, Icon trading corporation, Kolkata provides all kinds of Oil and gas burner diffuser plate and blast tube, we import and supply indian and imported diffuser disc and blast tubes. 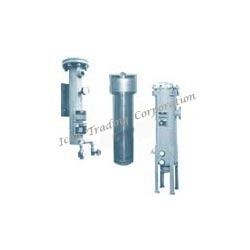 We, I Con Trading Corporation, Kolkata provides oil and gas filters for burner as well as oil and gas filters boilers. 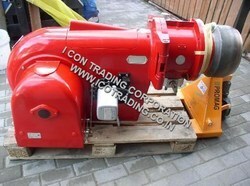 We import & maintain stock of all branded companies Oil & Gas Filters. 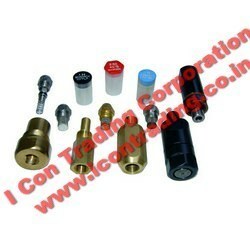 We are best competitor across the east India for Oil & Gas Filter in aspect of price. Unigas oil and gas filters, Flamco oil and gas filters, Weishaupt oil and gas filters, Bentone burner oil and gas filters, Fbr burner oil and gas filters, Ecoflam burner oil and gas filters, Riello burner oil and gas filters, Ross Boiler Oil & Gas filters, Iaec boiler oil & gas filter,Fag oil and gas filters, Baltur oil and gas filters, Oxilon burner oil and gas filters, Lamborghini burner oil and gas filters, Oilon burner oil and gas filters, Simplex filter for boiler and burners, Thermax boiler oil filters, York oil and gas filters, Giuliano gas filters, Madas Gas filters, Dungs gas filters, Krom schroder gas filters, Fiorentini oil and gas filters, Intravest duplex filters, etc..
"We are leading Manufacturer,Supplier and Exporter of Industrial Equipments & Furnaces like For Steam/Thermopack Boiler, Solid fire/Oil Fire/Gas Fire. Oil Pump, Boiler Spare & Parts, Industrial Laundry Equipment, Chimney, Tumbler, Flatwork Ironer, oil Burner, Suntec Oil Burner Pump, Water Softener, Ion exchange Resin, Pipe Line Fabrication & Erection. across the Eastern India mainly Kolkata, West Bengal, Nepal, Bihar, Jharkhand, Orissa, Assam, Siliguri, Durgapur, Asansol, Ranchi, Dhanbad & Bhutan region." Looking for Burners Spare Parts ?